It is truly an amazing film, and easily the best horror film of this decade. The performances given by the kids rival that of classics such as The Goonies and Stand By Me. In 1986 a young Stephen King published one of his most ambitious books yet entitled simply It. The novel tells the tale of an alien entity that haunts the fictional town of Derry, Maine, and feeds on its inhabits. In early 1990s ABC gave Pennywise his first appearances on film in a made for tv miniseries. Now 37 years later Warner Bros. gives Pennywise his proper dues in the full-length feature film, It. Derry is a quiet little town with nothing much happening but when Georgie (Jackson Robert Scott) goes missing things start becoming strange. The adults seem complacent but the kids, including Georgie's brother Bill (Jaeden Lieberher) aren't so easily assuaged and two years later start thinking something may be going on when they find out kids of been disappearing from Derry for centuries. It turns out there is a creature living in their sewers feeding on children and then hibernating for 27 years only to rise and feed again. Many of Stephen King's novels and short stories have been made into films, but it is rare to get an endorsement from the master of horror himself. It was able to garner such praise and there is a good reason for it. Taking place in the summer of 1989 (the film's one poetic license as the book takes place in 1958) the film has the town of Derry Maine and it's inhabitants come alive before your very eyes. Whether it be the kids of the losers club, the town bullies, the amazing attention to detail to the recreation of the late 1980s, or the sadistic Pennywise the clown, the film does everything perfectly. If you think of It as just a horror film you will be sorely mistaken. Yes, there is a scary entity that is shaped like a clown and is tormenting and killing children, but that is just a distraction. The real film is about the coming of age of six boys and one girl and the friendship bonds they develop with one another. 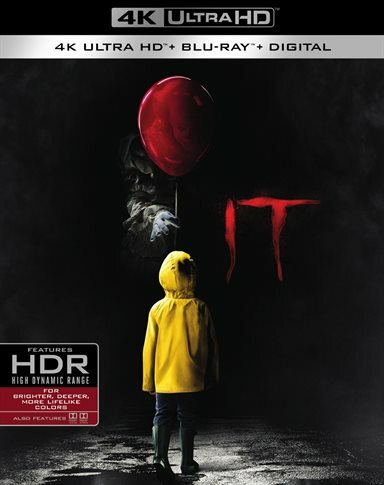 Essential to this story is to get the right cast, and director Andy Muschietti (Mama) put together one of the best ensemble of children in years. Jaeden Lieberher (Midnight Special), Jeremy Ray Taylor (Ant-Man), Sophia Lillis (Sharp Objects, Finn Wolfhard (Stranger Things), Chosen Jacobs (Hawaii Five-0), Jack Dylan Grazer (Me, Myself and I), and Wyatt Oleff (Guardians of The Galaxy) have only just started their careers and it will be amazing to see where all of these young talented actors end up in a couple of years. It will only be a shame that this will be the first and last time we see them all together. Bill Skarsgard's (Atomic Blonde) portrayal of Pennywise the clown is one for the books. He has successfully breathed three-dimensional life into one of Stephen Kings most horrific and iconic creations. While in publicity stills for the film he might appear as a normal clown but seeing him animated is truly extraordinary. Skarsgard puts every ounce of energy and himself into his work. Every scene can be dissected on how there is just something "off" about this clown and Skarsgard reminds us through his performance that there is something truly evil hiding behind that clown facade. If there was ever a film created to showcase 4K technology with color enhancing HDR added this would be the one. It doesn't feel at times as you are watching a film, but actually looking through a window into the outside world. Colors and blacks are spot on. Lighting looks natural and real and there is no pixelation or distortion in any part of the presentation. Complimenting the picture is the Dolby Atmos soundtrack the completes the fully immersive experience provided by the film. While the soundtrack is not as "in your face" as you would find in action films, It's audio track put your in the world of Derry having it envelop you. The soundtrack also makes great use of the height track to add more dimensions to your audio experience. Each one of these special features provide a deeper insight into how the world of Derry and it inhabits were created. The only bad thing about the features is the fact that there are not more of them. It is truly an amazing film, and easily the best horror film of this decade. The performances given by the kids rival that of classics such as The Goonies and Stand By Me. There was something truly magical that happened with this film, and it is a shame that Chapter 2 will be unable to recreate that magic with the kids ( it will take place 30 years later). At least we will be getting Pennywise back and all his crazy antics. Download It from the iTunes Store in Digial HD. For more information about It visit the FlickDirect Movie Database.